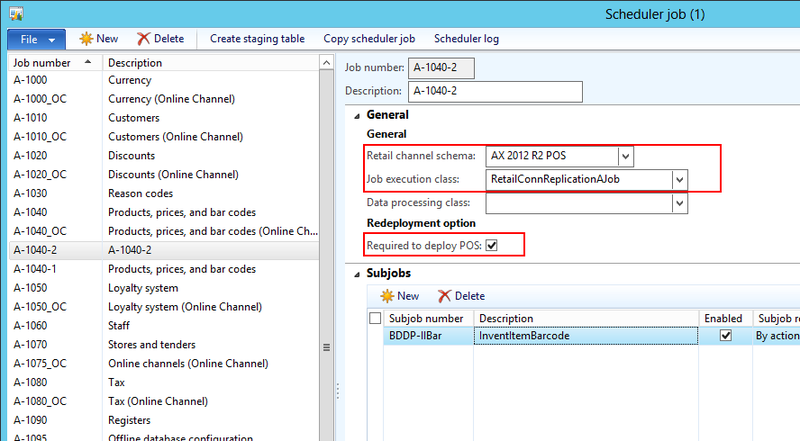 AX 2012 Retail: Customizing deployment of a new store. 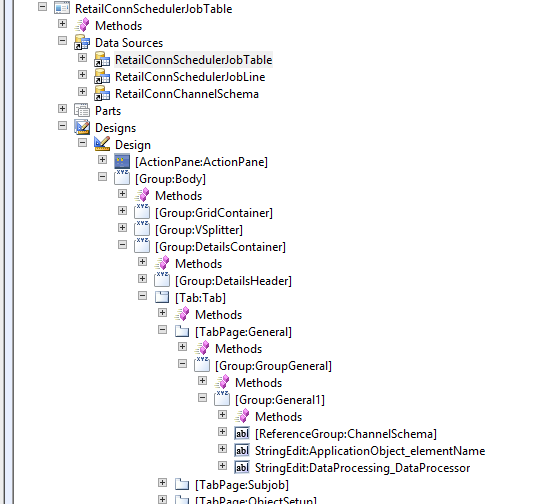 Title: Customizing deployment of a new store. existing stores. 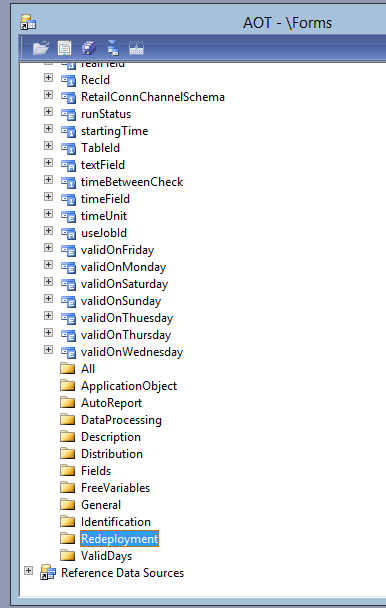 These jobs works very well for small or medium data volume stores. For stores with high volume of data it can be necessary to customize the jobs that are used to deploy a new store. 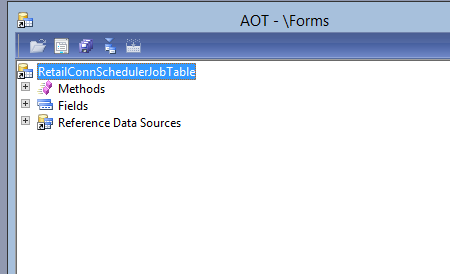 The job that requires most execution time and push most data is the A-1040 – Products, prices, and bar codes. 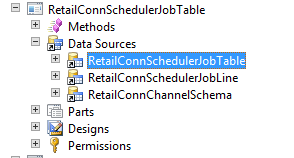 The ‘Retail POS deployment checklist’ uses a predefined series of A and N-Jobs to deploy a store. 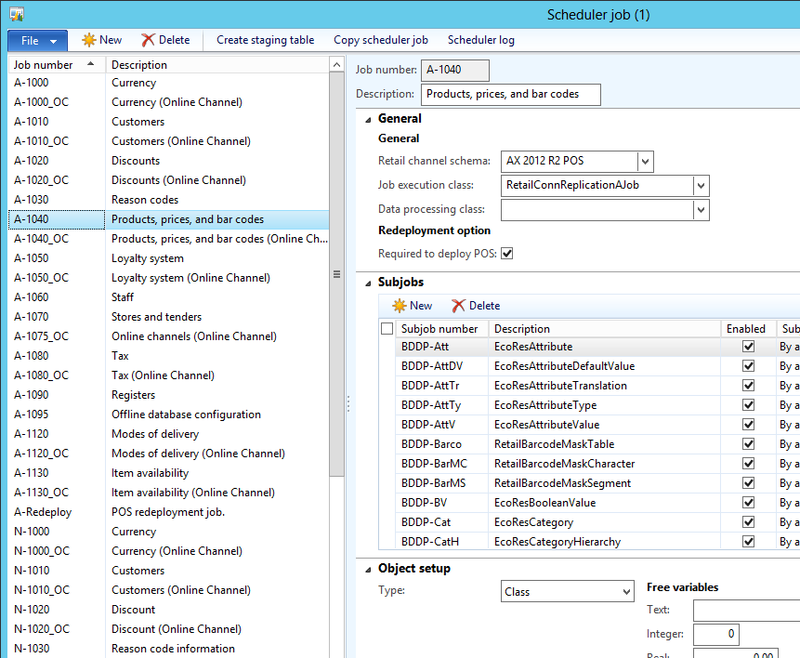 To customize the jobs that is used by the checklist a few application modifications is needed. Copy the A-1040 to a new and called it A-1040-1. When all jobs have been created, it’s time to test. 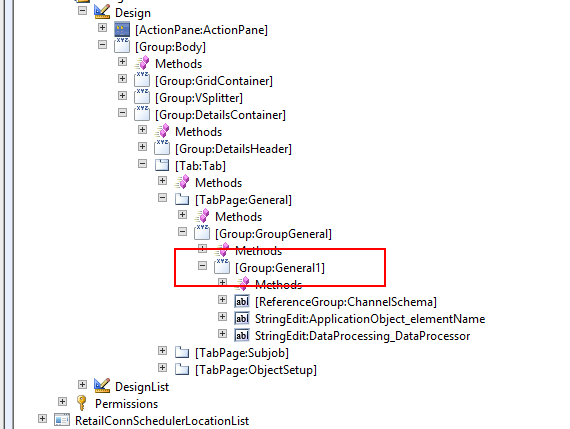 Launch the ‘Retail POS redeployment checklist’, select a store, execute in batch. On high data volume stores, one can see improvement up to 30% meaning that it’s 30% faster to deploy a store.